and La nostalgie du désert. L'idéal érémitique en Castille au Siècle d'Or. In recent years, translation, especially of canonical writings, has been one of those activities most often disparaged by academic departments. Paradoxically, professors of trendy fields such as Cultural Studies, Women’s Studies, and Comparative Literature are the ones most likely to benefit from good translations of the works of Teresa de Avila. At the “Conference on Women Writers of Later Medieval and Early Modern Spain and Colonial Latin America,” held in Charlottesville in the fall of 1997, several scholars working in these fields lamented the lack of reliable English versions of Saint Teresa’s writing. In a sense, Vogt is striving to return to the “primitive rule” of scholarship, which stresses canonicity, esthetic and humanistic values, historical grounding, and adherence to text. Vogt’s “Critical Introduction” places Saint Teresa’s work in the political, historical, and religious context of Golden Age Spain, where faith permeated every aspect of life. He humanizes his subject by stressing her earthiness— for example, her fondness for music and cooking—as well as her political savvy and sincere affection for her fellow nuns. 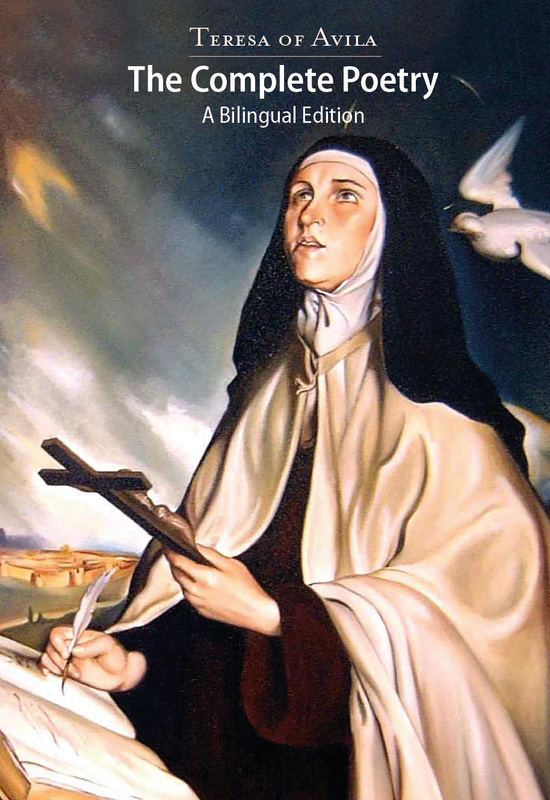 Vogt explores the major literary influences on Saint Teresa’s work, including the chivalric novels she so loved as a girl. These, along with the works of Loyola, inspired her use of military images and her notion of life as a form of spiritual warfare against the World. Saint Teresa’s versions a lo divino of profane love poetry evince the influence of Courtly Love on her poetic compositions, in which God and the soul are sometimes depicted as lovers. Among the pious books that Vogt examines are Saint Ignatius’s Spiritual Exercises and Thomas A. Kempis’s The Imitation of Christ. He also mentions Jerome’s Letters, Augustine’s Confessions, and a number of other works. Of course, the Bible was also an important influence on Saint Teresa’s writing, and Vogt points out in his extensive notes instances of biblical intertextuality. Vogt shows clearly that Saint Teresa was an intellectual, in spite of her protests to the contrary. Of course, he is not the first scholar to point this out, but here his comments provide a necessary framework for the poetry. Vogt also offers a useful analysis of Saint Teresa’s versification, noting that because of the dearth of autograph fragments or even reliable copies, he has not been able to establish the earliest version of each poem. He points out that of the thirty-one extant poems attributed to Saint Teresa, only one uses a nonnative strophic form, the octava real, which was imported from Italy. However, although Saint Teresa used traditional forms, she often modified them, imbuing them with new vigor. Vogt discusses the difficulties in trying to classify Saint Teresa’s poetry metrically, among them the discrepant terminology used by authorities such as Morley and Bruerton and the seventeenth-century cleric Juan Díaz Rengifo, author of Arte poética española. The section concludes with a poem-by-poem metrical analysis of all of Saint Teresa’s compositions. In spite of Vogt’s objections to faddish literary theories, he does not limit his “Selected Annotated Bibliography” to standard, time-worn tomes, but in fact includes many new, cutting-edge studies such as those by Gillian Ahlgren and Alison Weber. The section also includes some delightful surprises, such as Carolyn Bynum’s Holy Feast and Holy Fast, on the religious significance of food for women in the Middle Ages. For the most part, the translations themselves are excellent-accurate, engaging, and rhythmic. Saint Teresa wrote much of her poetry for her friends and fellow nuns. Sometimes she wrote to celebrate a special occasion, sometimes as an expression of pure joy. Although these are carefully composed poems, many exhibit the exuberance of popular poetry. Several are cast as dialogues between rustics. Others are courtly poems a lo divino. Often it was impossible for Vogt to retain the meter and rhyme of the original. However, he does succeed in capturing the flow and tone of Saint Teresa’s verse and the passion of her voice. Vogt has produced a highly readable translation of Teresa de Avila’s poetry that will be enjoyed by scholars and non-scholars alike'. Teresa of Avila (28 March 1515 - 4 October 1582), was a prominent Spanish, mystic, Roman Catholic saint, Carmelite nun, author during the Counter Reformation, and theologian of contemplative life through mental prayer. She was a reformer of the Carmelite Order and is considered to be a founder of the Discalced Carmelites along with John of the Cross. In 1622, forty years after her death, she was canonized by Pope Gregory XV, and on 27 September 1970 was named a Doctor of the Church by Pope Paul VI (Wikipedia). Eric W. Vogt has been a Professor of Spanish at Seattle Pacific University, USA, since 2001. He is a specialist of Spanish Golden Age Drama and Poetry. Eric W. Vogt's bilingual first edition of The Complete Poetry of Teresa of Avila was published in 1996 by University Press of the South. This revised second edition is published in honor of St. Teresa of Avila' fifth centenary in 2015. Eric W. Vogt's magistral translation of Mexican playwright José Agustín, Vicious Circle, will be published in September, 2017 by University Press of the South.